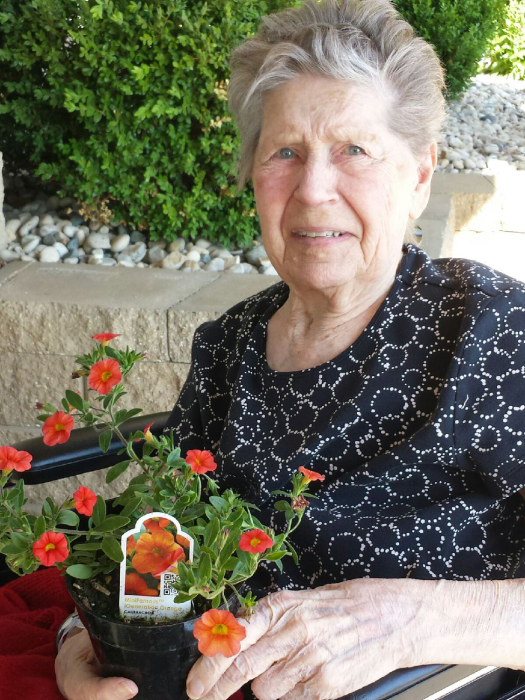 Janette R. Earleywine, 95, of Brodhead, passed away on Wednesday, April 10, 2019 at Wood’s Crossing, Brodhead, WI. Janette was born on May 30, 1923, in Windsor Township, Dane County, Wisconsin, the daughter of Claude and Esther (Boehm) Shew. On June 14, 1949 she married Elmo Earleywine. Jan graduated from the University of Wisconsin – Madison with a Bachelor degree and taught school for a few years before starting their family. The couple had a daughter Betty and a son Charles. Jan had a passion to serve others and was very generous with her time. Through the years she volunteered at her children’s schools and events as well as being a Girl Scout leader. Jan also shared her time and talents while volunteering in various church organizations and events. She would never miss an opportunity to lend a hand where it was needed. Jan is survived by: her son Charles of La Crosse; daughter Betty (Tom) Loukas of Venice, Florida; grandchildren, Emily and Robin Earleywine of La Crosse, and Sharon (Dan) Kent of Denver, Colorado; sisters-in-law, Betty Earleywine and Barbara Shew; foreign exchange daughter Eva Andersson (Bosse) of Sweden. She was preceded in death by her parents, husband Elmo, and siblings Richard and Ted Shew. Funeral services will be held at 2:00 p.m., Thursday, April 18, 2019 at the D.L. Newcomer Funeral Home, Brodhead, WI with Rev. Krystal Goodger officiating. Burial will be in Greenwood Cemetery, Brodhead. Visitation will be held from 1:30 p.m. Thursday until time of service at the funeral home. The Newcomer Funeral Home of Brodhead is assisting the family.